Join now, maybe you are the next big winner! 500+ awesome games loaded with action and waiting for you! Sign up today and try our awesome games! Start your white label casino today – You provide the traffic and we handle the rest with turnkey license, payment integrations and risk management and your comission will be set every month and while operation under our solutions your name will never be revealed. Use our services to run your own white label casino without any programming skills, basically all you have to do is to select your brand name and we set everything up for you with one of our top notch gaming platforms from where you can see all player activities in real time, this way – you drive the traffic and we do all the rest for you! This is the most cost effective way to launch your very own online casino in a short matter of time while saving hundreds of thousands euro while setting this up, our turnkey solution is the best way to go inf you want to run your own online casino. With softbroke you rest asure to get the very best setup possible with all the leading game providers and bonus games with the proper gaming licence you the are you want to promote. Its also important to know that you do not need to spend hundreds of thousands setting up your new casino and we do not charge any 10K monthly fees for our services like many other operators out there, with this said you can launch your online success straight away and still have money in the pocket to spend on promoting your new online casino / sportsbook website instead. In most countries if you dont have NetEnt then you cannot call yourself a casino, we provide all NetEnt games including the most popular bonus games like Mega fortune for example with a turnkey solution where we have ready banking solutions for mega winnings without debit your revenue. The live dealer casino provided by Microgaming through the Quickfire gaming platform is among the best in the industry. The games are streamed live from a game studio and feature beautiful and classy female dealers. Players can experience live casino action from the comfort of their homes. Microgaming offers the largest online Progressive Jackpot Network in the industry, a wide selection of Microgaming’s blockbuster slots and a number of licensed software items such as Battlestar Galactica™, Hitman™, Lara Croft: Tomb Raider™ and Hellboy™. Quickfire Online casino solution can boast of 500+ tried and tested casino games, 45,000+ players a day, 1.5 billion+ bets a month and new game releases every month. The gaming software is available in 20 different languages. Quickfire also gives operators access to an array of Poker games. Poker is available via the Quickfire platform through a Flash poker client, which enables players to start a Poker game without having to register a separate account. Microgaming software will help to bring diversity to your web-site, will attract new players and increase your revenues. Betsoft is a modular gaming platform that is used by affiliates to complete their brand’s portfolio. The games, therefore, come with a rebate and bonuses functionality, free chips with promotional codes, and necessary tools for marketing. Betsoft’s full range is yet to be completed but their vision is clear – they are poised to be strategic partners to any casino venture. Betsoft uses its proprietary technology, which is similar to that used in animated movie studios. They refine their Fx graphics and feedback sounds with the highest quality recordings. The work involves professional artists and musicians as well as dedicated developers. BetSoft Gaming Company has been bringing you awesomeness since 2005. Headquartered in London, the slots provider manages to spread fantastic casino games of all kinds around the whole world. As for the corporate office, it’s located in Malta. Play’n GO is a company dedicated to developing quality online gambling products. The headquarters of the software company is based in the Swedish town of Vaxjo. Although Play’n GO was mainly a subsidiary of other prominent software companies since 1997, it has managed to operate independently since 2005. In total, Play’n GO has released over 50 unique games in no less than 30 different languages. A good number of slot games that have been created by the company can also be found on mobile platforms including iPhones and Android, ensuring that players get to access their favourite slot games anytime and any place. The software program in Play’n GO is of the highest quality and it offers every single game developed by the company in an instant play format. Players can choose from 30 different languages to enjoy a personalised experience. Every game comes with full HD graphics, making sure that players are captivated by the content of the game. The products are also tailed to meet the fashions and needs of local markets, thus ensuring a great experience for the demographic. One of the most distinctive features in the Play’n GO software is that widget games are available. Widget games are miniature editions of games that can be directly integrated into the website of a casino, or in emails and banner ads, thus enabling the company to use them as promotional tools. In addition to the bingo and casino games they offer on the internet, Play’n GO has also come up with mobile gaming solutions for tablets and smartphones. Most avid gamers have already played at least one slot game by Thunderkick. A young and innovative Swedish company, it was founded by a contemporary team, with many years of experience in gaming. The company is focused primarily on developing unique and creative slot games with the player as a priority. All their platform and game development are done in-house, ensuring top quality and that individual product are delivered to the casino providers. Their slots are always uniquely different concerning design and gameplay, with extremely quirky and fun themes. A minimal Scandinavian design works exceptionally well and provides players with an original gaming experience every single time. Swedish based company ELK was only founded in 2012, and they are currently concentrating on establishing themselves as specialists in developing mobile casino games. Their ethos is to release a small amount of quality games, rather than the mass production of poor quality games, and so far their unique portfolio of games is limited to three thoroughly enjoyable slots that continue to grow in popularity amongst the global slot-playing community. They use advanced mathematical models and the latest technology to create their games but, arguably, it is the human touch that they’ve incorporated into their games that give them mass appeal. Elk’s current 3 games are The Lab, Electric Sam, and Champion’s Goals, and all 3 incorporate great graphics, a plethora of exciting bonus games and features, and audio-visual support that’s right at the cutting-edge of the market. There’s also a 4th game currently in production called “The Fish” – so watch this space. The Lab – Players can win big prizes for lining-up a mixture of fun minerals and elements, whilst there’s also plenty of bonus games and features to enjoy including Wilds, Scatters, Free Spins, Re-Spins and Multipliers. There are 5-reels and 15 pay-lines, whilst Elk have also incorporated a unique innovation called Betting Strategies which allows players to implement their preferred betting patterns if they so wish. Electric Sam – This protagonist of this great game is Electric Sam, owner of a casino based deep in the dangerous Troll Forest, which he runs with the help of his wife and daughter. It’s a 5-reel game offering 243 different ways to win, whilst there’s Sticky Wilds, Imploding Symbols, Free Spins and a mass of Multipliers to get you excited. Champion’s Goal – This football themed slot is ideal for soccer and slot lovers, and features Wilds, Free Spins, Scatters, a unique and very exciting bonus game involving Stacked Wilds and Cascading Symbols. It has 5 reels and a variety of pay-out options. SG Interactive is the game developing branch of Scientific Games – one of the biggest and most successful companies in the iGaming industry. Starting from the field of lottery, the company quickly moved up to the world of online casinos. With the acquisition of several major development companies, SG Interactive cemented its place as one of the leading creators of online casino games. To this day, the main focus of Scientific Games remains on land-based slot machines and other gambling equipment. For that reason, SG Interactive do not have the biggest collection of online casino games out there. Most of the titles are slots, but there are games in other genres that players can enjoy. While the quantity is on the low side, the quality of the games is one of the best in the industry. The mix of classic, modern, original, and branded games can satisfy even the pickiest of tastes, and you are guaranteed to find at least a few games to get hooked on. Let’s take a closer look, starting with everyone’s favourite casino game – slots. SG Interactive have almost 200 slot games in their catalogue, ranging from old classics to modern titles. The company has developed some of the most popular slots in recent years, such as Zeus, Amazon Queen, Leprechaun’s Fortune and Rainbow Riches. A nice addition to the collection are several branded games, including Michael Jackson, Wonder Woman, Empire, and Monopoly. Fans of classic three-reel slots will also find several such titles. SG Interactive’s slot games stand out with smooth graphics, intuitive interface, and a variety of exciting bonus games. There are also Quick Spin and Auto Play features available on some games, allowing players to streamline their gameplay. This is especially good if you have to complete wagering requirements for a welcome bonus. The betting range varies between different slots, but all games are suitable for both casual players and people who like to wager a lot on a single spin. When it comes to roulette, SG Interactive has a total of three games. Two of them carry the Monopoly brand, and provide a unique roulette experience, along with great bonus games and high RTP. The third one is Key Bet Roulette – one of our favourite games in the genre! If you are into roulette, we highly recommend you check the game out. The games look and play great, and there are plenty of customisable options to tinker with. Even though they look a bit dated when compared to some of the newer titles by other companies, SG Interactive’s roulette games will certainly appeal to the large portion of roulette players out there. Many slots players are yet to hear about 1×2. They have a small and growing range of 5 reel video slot games which you can play in your browser window. The company behind these titles was formed back in 2003, and is based in Brighton in the UK. Their main specialism is virtual sports games. These allow you to bet on the outcome of virtual football matches and other instant-win and fixed-odds type gambling. After creating Flash and HTML5 based casino games, slots were a natural next step for this company. 1×2 slots are not the most complex games, in terms of fancy break out bonuses or innovations. Instead they rely on a good dose of humour, and solid lower-variance game play. The fact that browser games can be licensed to big online casinos as an addition to the old download casino games is bound to increase the reach of these games. In terms of slot play, there really are no innovations above and beyond what is already out there from other software houses. Instead of cascading wins, expanding wilds and multiple break-out bonuses, you’ll get a free spins round and sometimes a pick-em feature. Think solid slots rather than big innovations. Betradar’s Virtual Sports are the virtual betting product of choice for over 150 bookmakers worldwide. Our Virtual Sports focus on realism with the number of events, leagues/tournaments, graphical display, betting markets, and the gameplay, all based on the analysis of thousands of real games. This provides bettors with what they want – the most realistic virtual products in the industry. All events in our virtual sports are based on real-match statistics so betting on a virtual sports feels the same as betting on the real thing. With new betting cycles every few minutes, we deliver a fast-paced betting experience. As the market-leading supplier of sports and betting data, all main sports markets are available with realistic odds. Events running in parallel and one-click selections placing multiple bets which payout within minutes has never been easier. Betradar Gaming provides Virtual Sports Betting and Live Sport Betting products to bookmaking sites all over the world, as well as a Remote Game Server that allows clients to access their entire portfolio of products through one integration point. 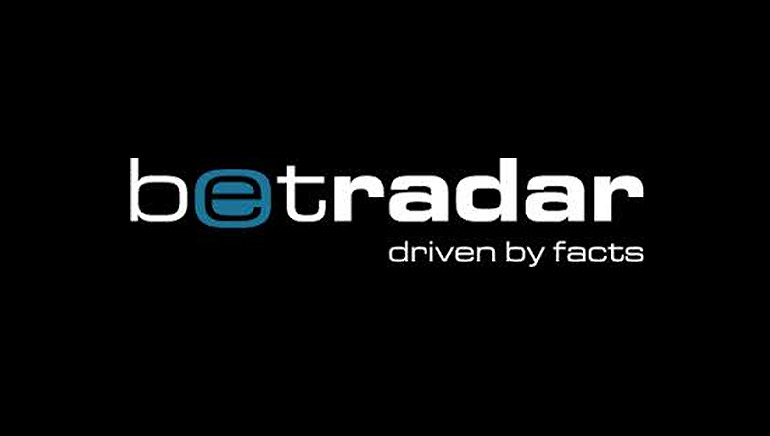 Betradar Gaming is a brand of Sportradar, one of the world’s leading suppliers of sports-related live data, odds solutions and fraud detection services. Founded in 2001, Betradar supplies bookmakers, media companies, sports federations and government agencies with their solutions, and Sportradar serves over 600 global clients, including 30 state lotteries. Betradar focuses on providing bookmakers with all the components necessary to operate a successful service: fixtures, results, odds, compiling, trading tools, in-running services and front-end content solutions. Their offshoot, Betradar Gaming, specializes in gaming products such as Virtual Sports Betting and Live Sports Betting. Betradar offers two options in the world of sports betting: virtual and live. Betradar recognized that in the world of sports betting, when the number of actual sports events are limited, clients are always looking to add additional betting opportunities; therefore, they offer a wide array of Virtual Sports Betting products. These products include a Football League, Horse Classics, Dog Racing, SoccerClub, Sports Demonstrator, and soon-to-be-released Tennis Open. Betradar’s Live Sports Betting uses targeted game concepts that allow online sportsbooks to offer live betting experiences in a unique and entertaining way. Betradar’s Live Sports Betting solutions include Soccer Routlette, Next Up: Soccer and In-Play Minigames. Betradar’s Remote Game Server (RGS) is the integral point of their Virtual and Live Sports Betting products; it allows clients to access their entire portfolio of products through just one point of integration. The RGS can be adapted into any operator’s system, and it enables efficient management and integration. Quickspin first launched in 2011. Theirs is a company built upon a wealth of experience, since it was founded by former employees of both Net Entertainment and Unibet. This very Scandinavian company made up a lot of ground in its first year, and has since signed deals with many top casino brands. At present, Quickspin is still finding its feet, and so its collection of online casino games isn’t as vast as other competitors. Many of its slots tend to take on fairy-tale themes, although the gameplay is generally good fun. Quickspin has not yet delved into the table games market, so they are content on boosting their slots catalogue. Over 25 casinos currently run software designed and developed by Quickspin (mostly Scandinavian sites), although as their collection of games grows, you can expect to see more of from this developer. The influence of those companies is definitely present in Quickspin, as you can see the quality and craftsmanship present in their work which has a style that is very reminiscent of Net Entertainment games – and we mean that in the nicest possible way. Their currently small number of slot machine titles are generally made available through casinos that use Microgaming’s Quickfire platform. QuickSpin may not have as large of a library as other software developers, but the products that they put out are first rate. The group works exclusively on slots and does not have a table game presence, and their software is generally absorbed into the libraries of casinos that also offer other software as well. Supernova, a stellar game with 27 ways to win, random multipliers, and some stunning graphics and animations. This title is a lot of fun and we think very highly of it. Big Bad Wolf, a slot themed after the well known fairy tale involving three little pigs and their construction preferences. This game features the ever popular cascading wins system, along with free spins and some unique wild symbol features. Treasure Island, a pirate themed slot that includes stacked wilds, a free spins bonus, a Treasure Hunt Bonus, and a Pirate Attack Bonus. The game’s colourful graphics and beautiful animations are simply outstanding.